It is known that Sterling Silver is a material that is getting tarnished and looses it shine throughout wearing and even storing. Depending on the environment, Silver jewelry can loose its shine within only few days. Proper care, cleaning and storing will ensure your jewelry remains beautiful and shiny for a very long time. It is advised to remove Sterling silver jewelry before going to bed or participating in physical activity. 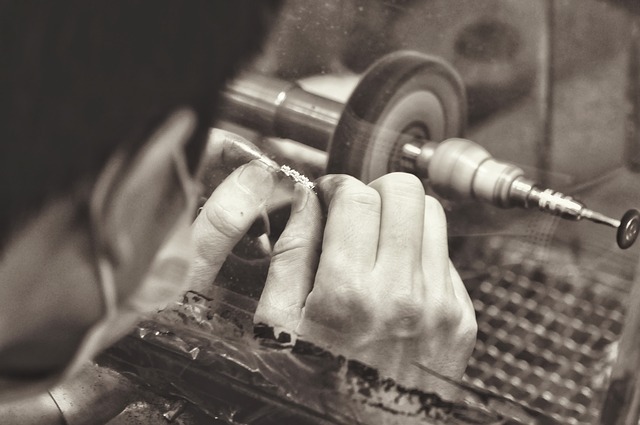 Exposure to certain harsh chemicals or environments will result in compromising the integrity of your jewelry. This includes, but is not limited to the following: perspiration, perfumes, cleaning agents, chlorine, saltwater and beauty products. Plated jewelry items, such as Gold, Rhodium and Rose gold plated pieces in Fit Selection store are resistant to water and humidity, so they will be resistant in maintaining shine colors much longer compared to Sterling Silver. However, plated items apply different way of cleaning and restoration. Pour a small amount of mild soap into lukewarm water and use a small, soft toothbrush to clean your jewelry. Toothbrushes are ideal for cleaning silver jewelry with intricate details, which can otherwise be difficult to clean. If the dirt is hard to remove, soak the jewelry in clean water. A silver-polishing cloth is a great tool to make your sterling silver jewelry shine again if the pieces have become dull. However, it will not remove scratches. Although plated items are keeping the shine for longer period and resistant to tarnishing and turning black. Plated jewelry is much more sensitive on rubbing and brushing and can receive scratches more often than other materials. Maintain the beautiful shine and unique finish by polishing plated items with a soft cloth. 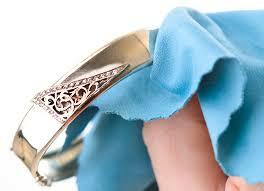 Dampen the cloth in lukewarm water, adding a small amount of mild soap, and rub gently on jewelry. Rinse with clean water and pat dry with a soft cloth. Do not expose the plated jewelry to harsh chemicals, perfumes, lotions, and other beauty products. When not wearing your jewelry, either if it is Silver, Gold or plated items it is important to store them correctly in order to keep them shiny and clean for longer period. Jewelry should be stored away from natural sunlight and heat, in a protective jewelry box or a tarnish-resistant pouch. It can also be stored in a plastic zip lock bag that is made for jewelry. Always make sure that your jewelry pieces are not rubbing against each other while stored, as this may cause scratches and fast tarnish. Never store your jewelry in humid places (bathroom).